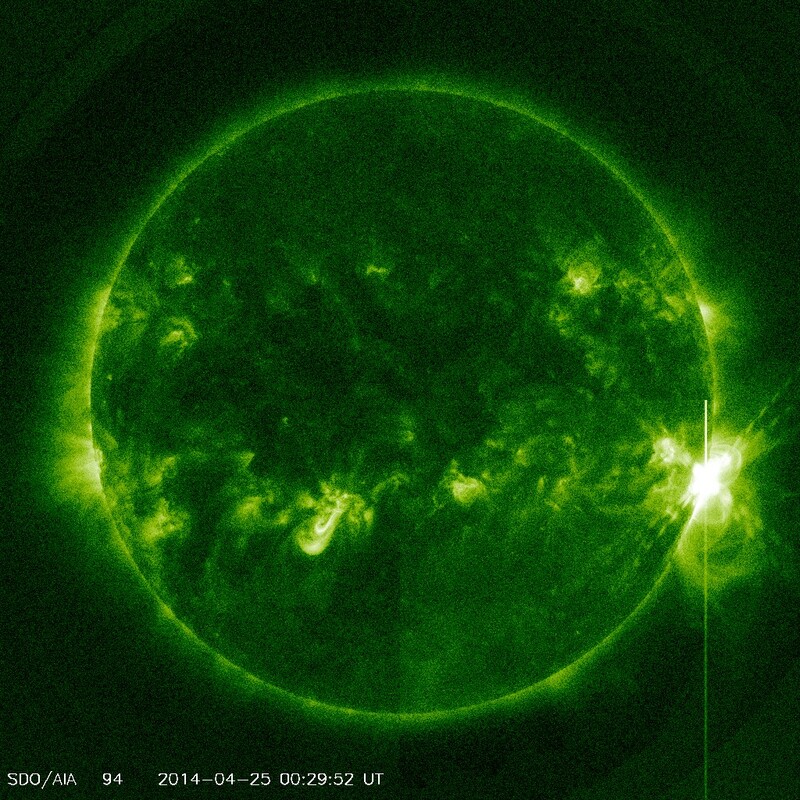 Major X1.3 solar flare detected beyond the west limb at 00:27 UTC. 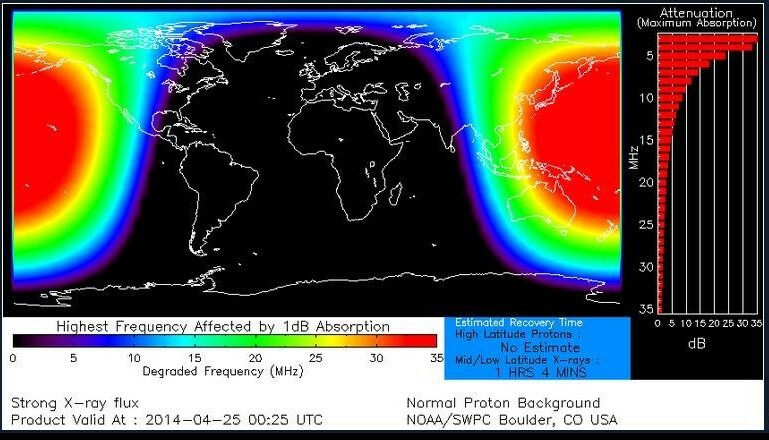 Source region appears to be 2035. 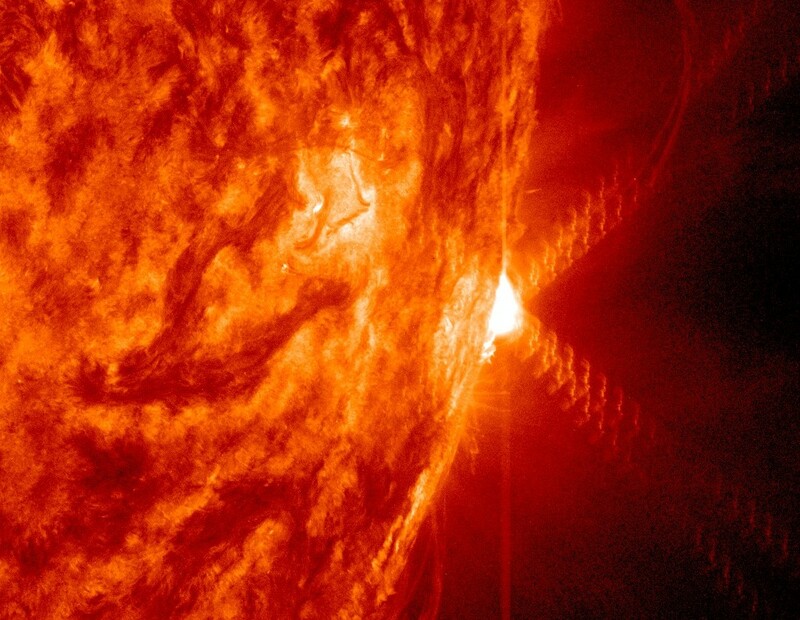 A 10cm radio burst measuring 1100 sfu and lasting 5 minutes was associated with the event. 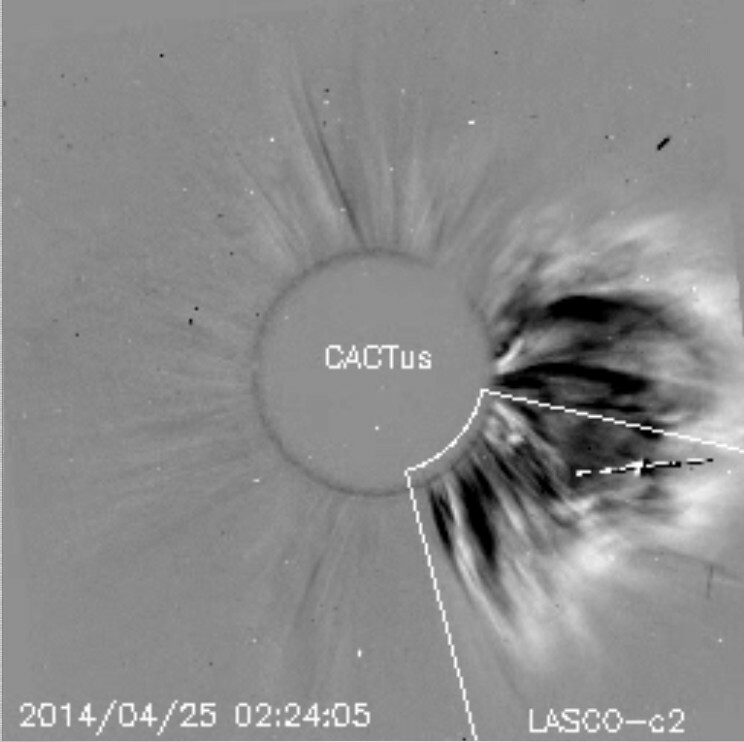 A CME is now visible in the latest LASCO C2 imagery, but will be directed away from our planet. More to follow. 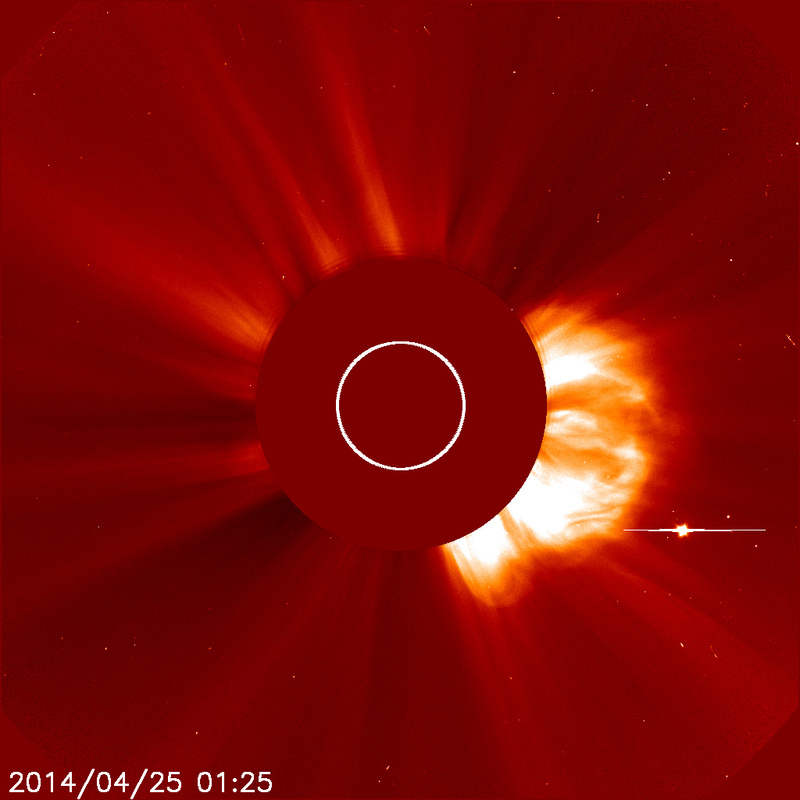 Video by SDO and LASCO C2 now available via YouTube. AIA video of the event is now available. Located on bottom right of page. 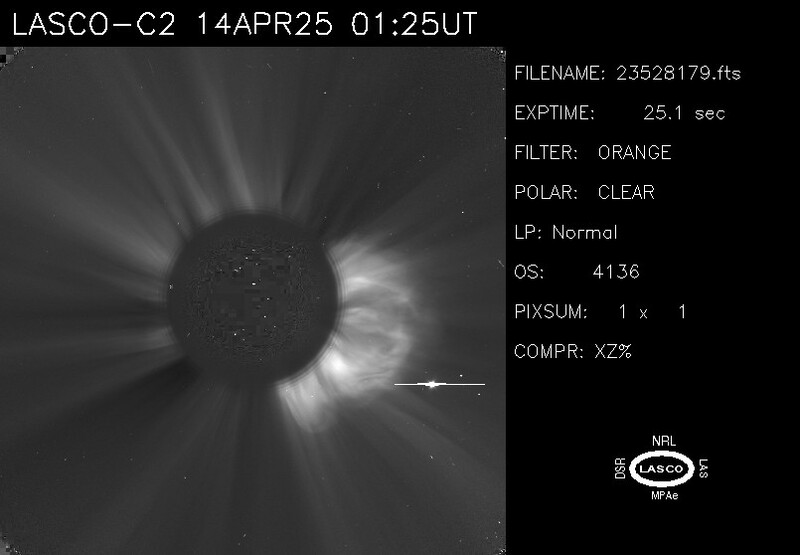 A coronal mass ejection (CME) now emerging in the latest LASCO C2 coronagraph imagery. 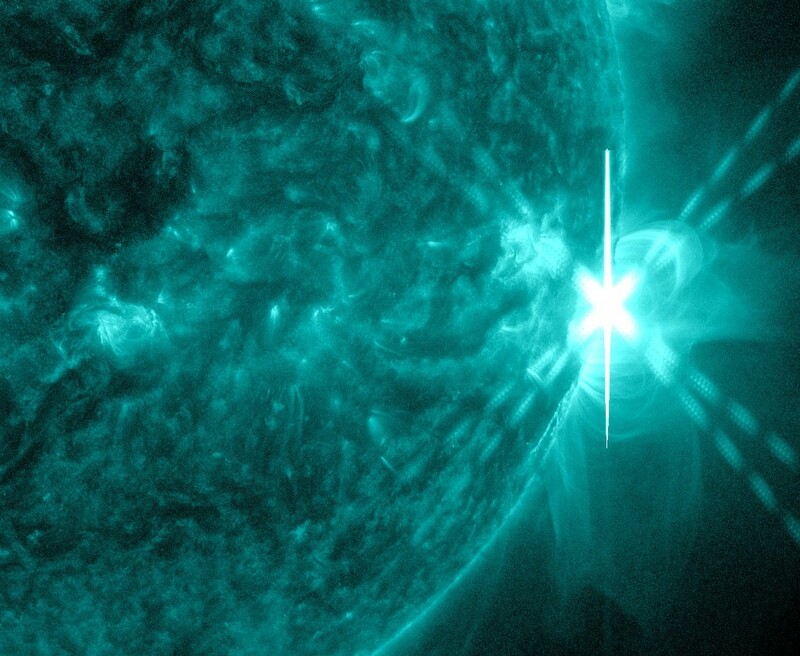 A Type II radio emission with an estimated velocity of 753 km/s reported. 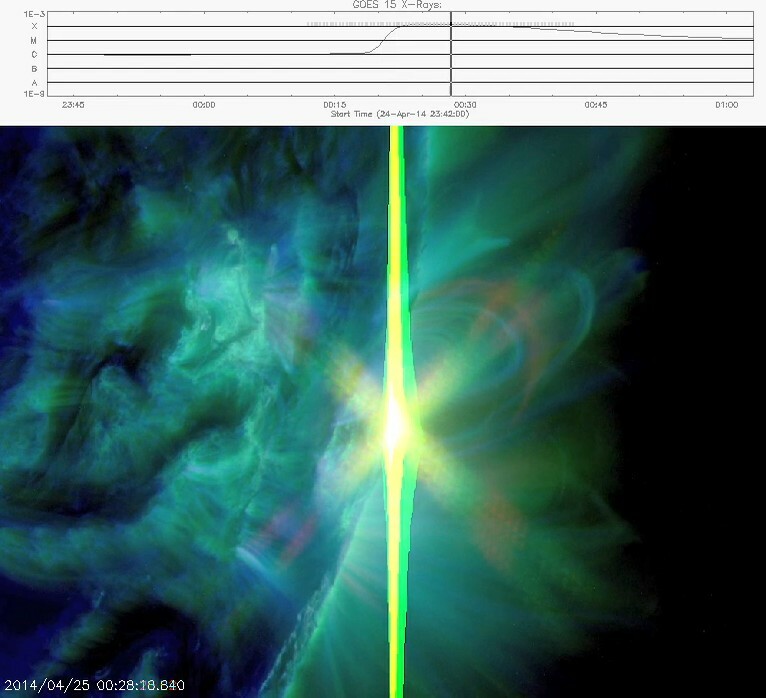 Solar flare event was associated with a 10cm Radio Burst (TenFlare) measuring 1100 solar flux units (sfu) and lasting 5 minutes. 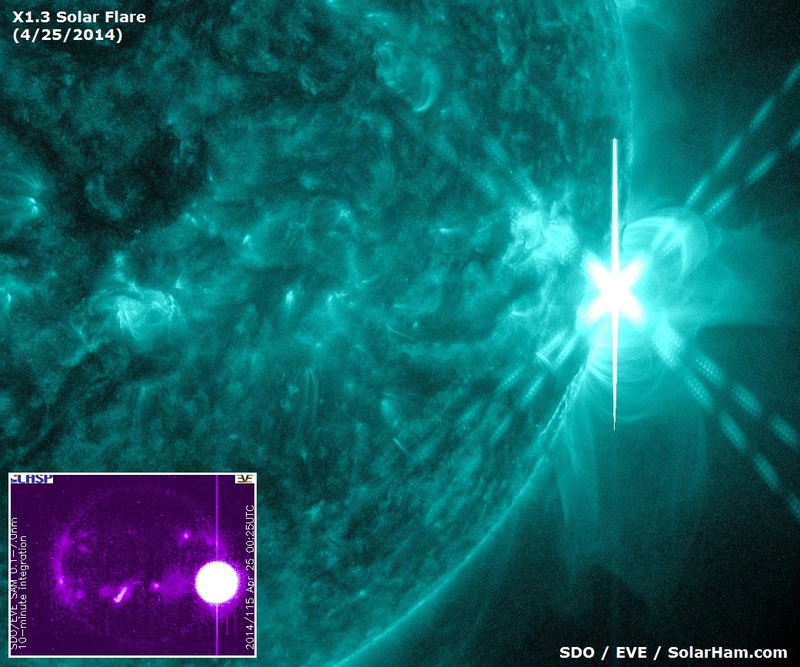 Updated imagery suggests the flare took place around departed region 2035, now located just beyond the west limb. 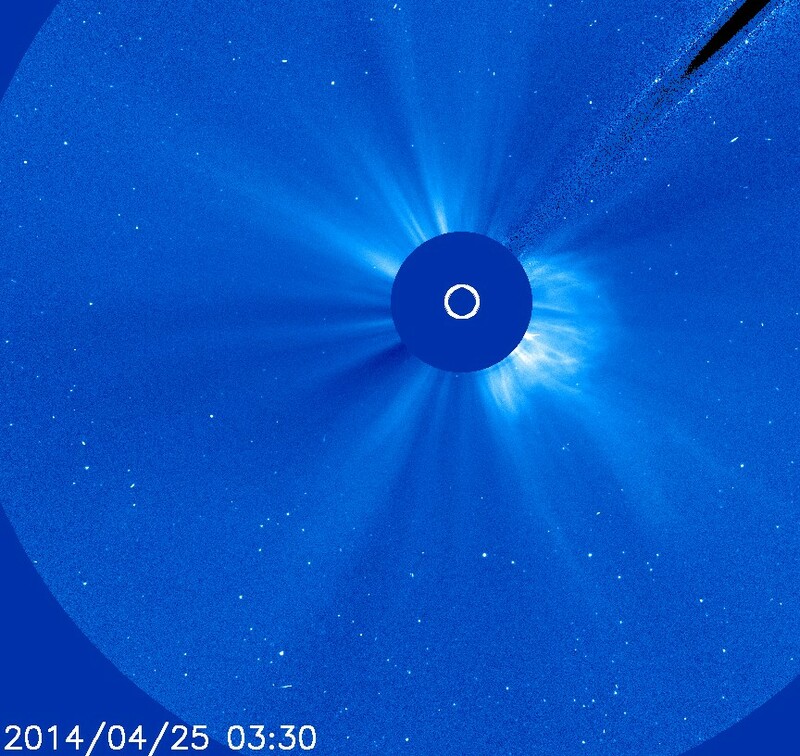 Any associated CME will be likely directed away from Earth. 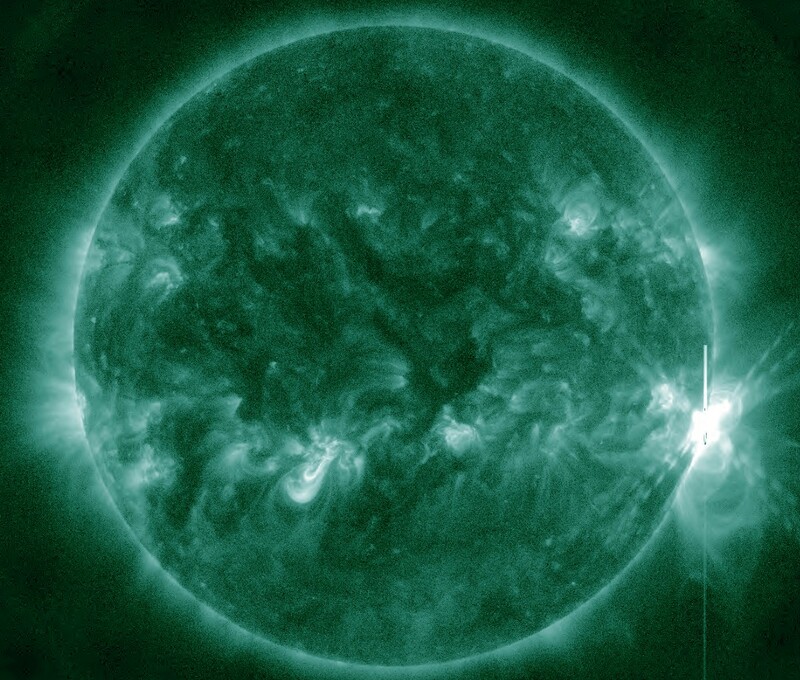 Major X1.3 solar flare detected at 00:27 UTC. Location is near the west limb. More to follow.